Did you know that you could purchase a dining package for Disneyland’s “World of Color” showcased in California Adventure? In case you haven’t heard, “World of Color” is a spectacular 25-minute nighttime water show that opened on June 11, 2010. With two nightly shows at 8:45 and 10:15 and a viewing area for 4,000-5,000 people, a dining package might just be your “ticket” to reserving your spot to enjoy the “World of Color”. · “World of Color” Picnic Meals – Sonoma Terrace at Golden Vine Winery provides picnic meals. A special boxed picnic meal can be ordered online at http://www.disneyland.com up to 30 days in advance, or by walk-up purchase on the day of the show, subject to availability. On-line ordering is not available for the same day of the show. · “World of Color” Prix Fixe Lunch – Experience the California wine country at Wine Country Trattoria. Lunch includes a selection of Italian cuisine and a ticket for the reserved viewing area. · “World of Color” Prix Fixe Dinner – Dinner is also served at Wine Country Trattoria with a 3-course dinner consisting of a starter, entrée, and dessert, along with a ticket for the reserved viewing area. · “World of Color” Carthay Circle Restaurant– OPENING June 15 2012, is California Adventure’s newest venue to participate in offering a dining and “World of Color” experience; an upscale but comfortable restaurant featuring diverse cuisine of Southern California. Each guest who orders an appetizer and entrée or an entrée and dessert will receive a ticket to the “World of Color” preferred seating area. You can also see the show without a reserved spot. There is ample space around Paradise Bay that provides great views of the show. 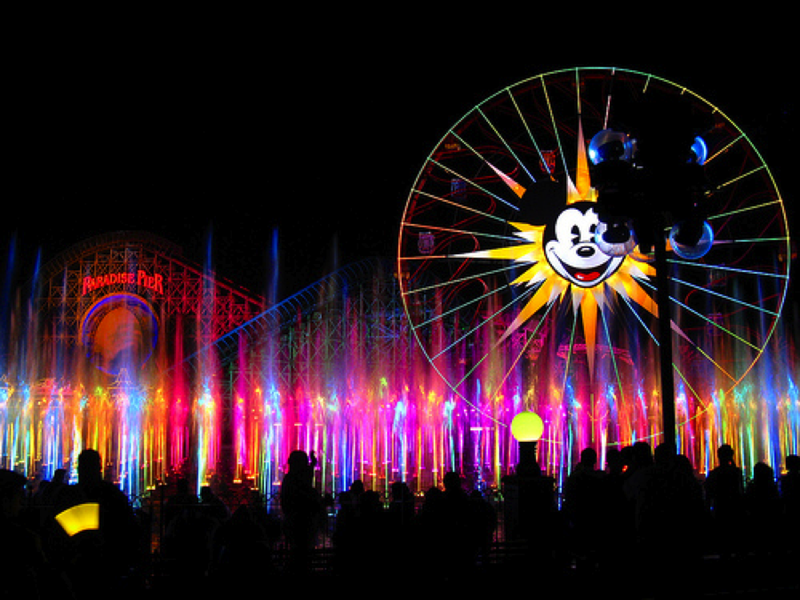 If you wish to take advantage of the “World of Color” dining packages, contact me TODAY or call 714-781-DINE.